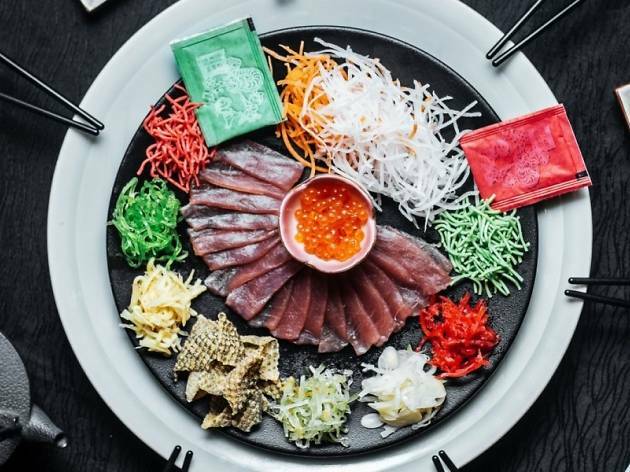 Pick one of three Chinese New Year menus at Tao – Harmony (RM1,988nett per table of ten) includes dishes such as salmon yee sang, poached chicken with shredded mushroom and more; Prosperity (RM2,388nett per table of ten) serves salmon with Korean sweet pear yee sang, crispy roasted chicken with spicy sesame vinegar sauce, steamed Eight Treasure glutinous rice and more; and Longevity (RM2,688nett per table of ten) offers items such as salmon with Hokkaido scallop yee sang, roasted duck with Chinese herbs, steamed King Tiger grouper with cordyceps flower, red dates, ginger and wood fungus, and more. There will also be a lion dance performance on Feb 23 at the lobby to liven the mood. All sets are available until Mar 2.